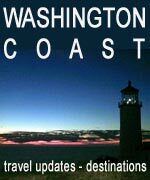 (Cannon Beach, Oregon) – Two particularly engaging history talks are coming up on the north Oregon coast which are guaranteed to be riveting. One looks at a local iconic attraction and its long history, while another takes you back over 100,000 years to some jaw-dropping finds. 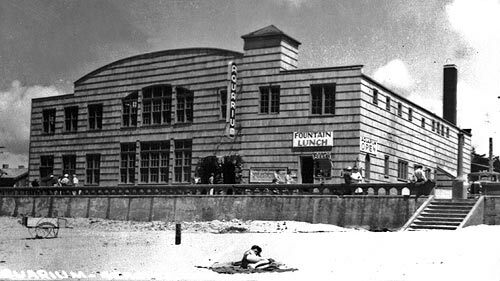 (Above: Seaside Aquarium in its early days, 1937). Just how early were the Americas settled by human beings? 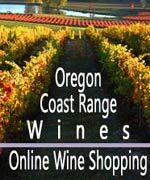 Archaeological work on this continent has been uncovering some controversial ideas on this in recent years, and one museum on the north Oregon coast will be looking at this more deeply. On Thursday, April 19 at 4 p.m. the Cannon Beach History Center & Museum welcomes Dr. Cameron M. Smith to discuss this very topic. Dr. Smith is an Anthropology Professor at Portland State University and is a highly recognized scholar on human history, archaeology and evolution. It seems that the Americas may have been settled a lot earlier than hypothesized – much, much earlier. Case in point: a dig site in California appears to show human activity 120,000 to 140,000 years ago. This is more than a hundred thousand years before humans were thought by archaeologists to be here. This site is among a few other recent discoveries, which include Paisley Caves that are rewriting the human history of the Americas. Dr. Smith has a PhD in Archaeology from Canada’s Simon Fraser University and is a respected scholar, who has published scientific works in the American Journal of Physical Anthropology, as well as Scientific American, Scientific American MIND, Discover Magazine, Archaeology Magazine, South American Explorer, Spaceflight, Skeptical Inquirer, The Next Step, and The Bulletin of Primitive Technology. Dr. Smith has also appeared PBS, The History Channel, and on the National Geographic channel. Smith was even a guest on Theoretical Physicist Michio Kaku’s radio show Science Fantastic. 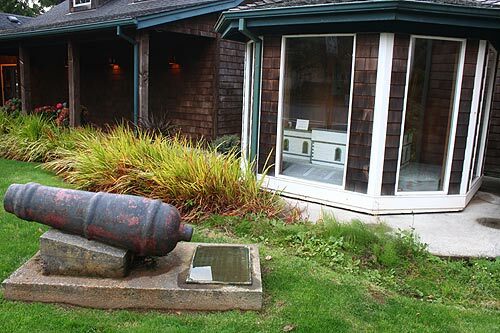 The Cannon Beach History Center & Museum said he is an engaging lecturer who keeps attendees on the edge of their seats. 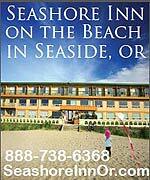 1387 South Spruce Street in Cannon Beach, Oregon. Peering back into time not quite as far, Seaside’s History and Hops program looks a north Oregon coast icon: the Seaside Aquarium. 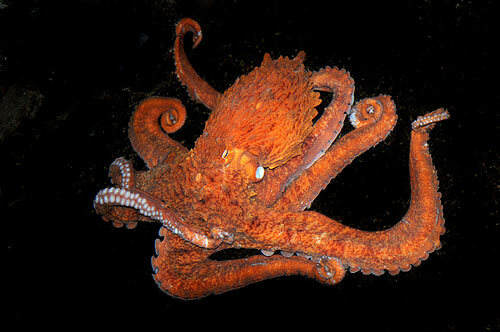 The April 26 program is titled “Public Baths to Aquarium,” starting at 6 p.m. 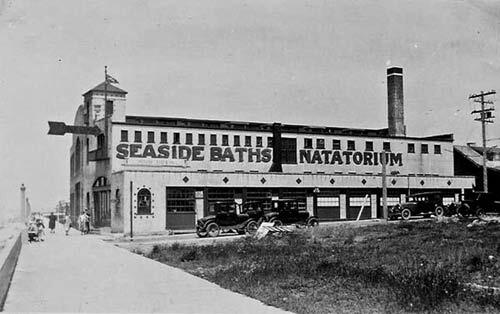 In August 1924 the Seaside Baths Natatorium - a salt water bath house and swimming pool - opened for business. 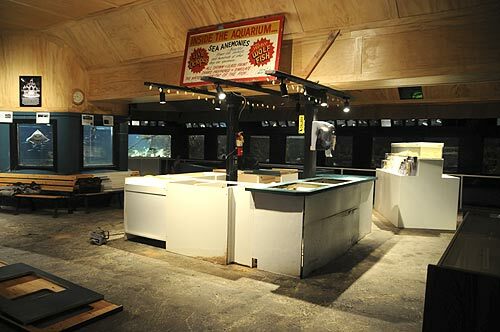 By 1937 it had morphed into the Seaside Aquarium which is now the oldest privately-owned aquarium on the West Coast. Keith Chandler, the aquarium’s general manager, will share tales of its 94-year storied past – from construction through conversion and development into a well-regarded marine life showcase. Those attending Seaside Museum’s History & Hops event will meet seal Tubby, Jr. and its 25-pound lobster, Victor, as well as a cast of other marine characters from its past. The aquarium has been part of the Marine Mammal Stranding Network since 1990. 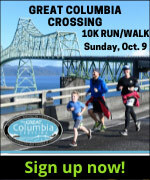 As a partner with the Wildlife Center of the North Coast, the aquarium is a drop-off center for injured animals that are then transported by staff to the rehabilitation center in Astoria.